An 18-wheeler is a 40-ton behemoth that can be 70 feet long. It takes special skills to drive an 18-wheeler. Controlling it is not easy, and stopping an 18-wheeler takes up to 40% longer than it takes a car. Slippery roads and poorly maintained brakes can compound matters for large 18-wheelers, tractor trailers and single unit trucks. No doubt, these massive monsters of the highways are marvelous feats of engineering. However, safety remains a concern. 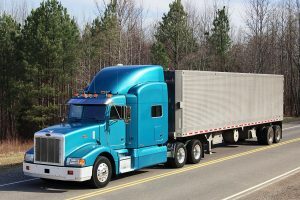 18-wheelers have a designated height of 13 feet and six inches. These heavy vehicles have 12 gears. Even with regulations in place to ensure proper weight and load on the road, accidents take place because these extremely heavy vehicles are difficult to maneuver. Nearly two million big rig trucks operate in the United States. Each year, nearly half a million accidents involving 18-wheelers take place in America. 5000 of these accidents result in fatalities of which 98% are the death of the occupants of the other vehicle, not the 18-wheeler. In the U.S, accidents involving large trucks account for 130,000 injuries each year. Texas ranks near the top for fatalities and injuries resulting from 18-wheelers. Greater Houston accounts for many of these accidents. 18-wheelers account for nearly 12% of traffic fatalities even though these vehicles are just at three percent of the total registered vehicles in America. One out of nine deaths in accidents involves a truck. Head-on collisions account for the largest number of serious accidents involving 18-wheelers. It is vitally important that truckers know what to do in case of an accident. You should be aware of your legal rights. The Law Offices of Alex R. Hernandez Jr. can help you protect your interests in case of such an eventuality. Get in touch with us today.